A proposed executor in Delaware must undertake certain procedural steps to obtain a formal appointment. He must file a petition for letters testamentary, the document legally appointing him as executor, with the Register of Wills in the county where the decedent resided. He must pay a fee for opening the estate, file a death certificate and publish notice of the petition filing in a local newspaper. This is to notify creditors of the passing of the decedent. A judge may also require the executor to post a bond. A Delaware executor has a duty to pay a decedent's debts, close bank accounts, file and pay any federal and state taxes owed within nine months of the decedent's death, convey real estate, distribute other assets and ensure family heirlooms reach the intended beneficiaries. An executor may also hire experts to assist her, such as lawyers, tax specialists and real estate agents. She must file an inventory with the court, listing all the estate's assets, within 90 days after the estate is opened. 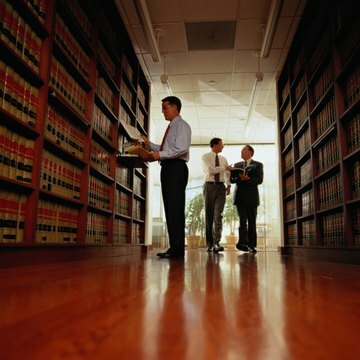 It is the duty of a Delaware executor to handle estate matters in a trustworthy, fair way. Executors must avoid self-dealing and conflicts of interest with the estate. For example, an executor should not sell a house owned by the estate to a friend or relative for a price less than fair market value. Executors may be discharged if they abuse their positions. An executor may also be required to pay back any damages caused by breaching their duty of trust. A Delaware executor generally must complete estate transfers to beneficiaries within one year. An executor must formally close the estate by filing a final accounting with the probate court showing all estate assets collected and bills paid. Once the court approves the accounting, the executor must pay 1.25 percent of the estate's net value minus real estate and approved expenses to the Register of Wills.